We all want to be happy, but there is a single lie that is preventing billions of people from experiencing lasting happiness—and many don’t even realize it. 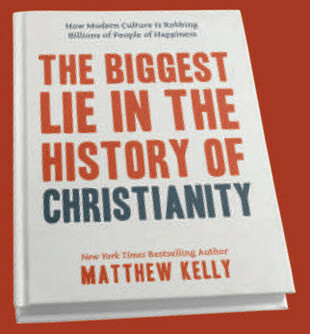 When you come to Mass this Christmas, you’ll receive a copy of the book "The Biggest Lie in the History of Christianity". This special gift from our parish will empower you to overcome the lie so that you can experience more happiness than you ever thought possible.